Eight to eighty, blind, crippled, and crazy would pretty much sum up those in attendance at the Black Stone Cherry show in southwestern Ohio. Did he say in Ohio? Yes I did. While home on a visit I thought it would be cool to cover a show for MTC at a venue that has been an old stomping grounds for many Ohio residents for the past 32 years. McGuffy’s House of Rock is a venue that allows you to get pretty darn close to some pretty big acts. At their capacity, I would venture say that this venue could hold 500 guests comfortably. A few acts that have been on McGuffy’s stage over the years include Theory of a Deadman, Molly Hatchet, and Metallica (before anyone knew Metallica). McGuffy’s also has showcased many popular local bands as opening acts. Tonight’s show would feature two local bands and Shallow Side, a great band out of Alabama and are currently opening a few shows with Black Stone Cherry. I do have to give Shallow Side a quick shout out for their fantastic rendition of “Footloose”. You just have to hear it to believe it, Kenny would be proud! Alright, enough history already, let’s hear about Black Stone Cherry. This was a unique opportunity to cross a band off of my bucket list and doing so while in familiar territory, how awesome is that?! 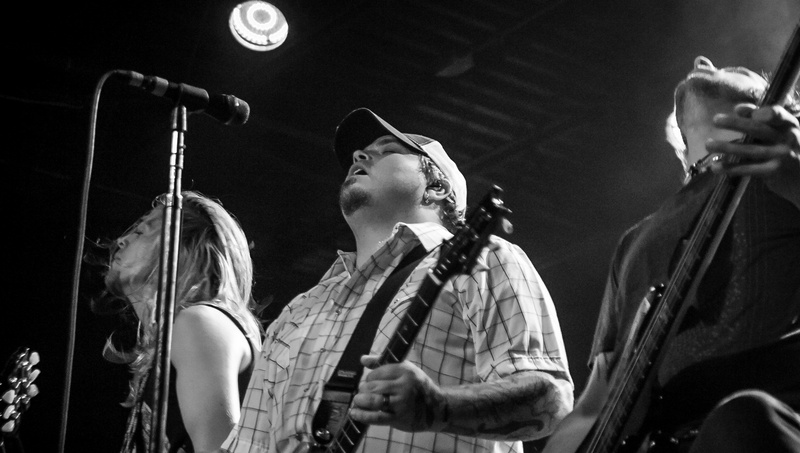 Black Stone Cherry has roots just across the Ohio River, in Kentucky. Black Stone Chery has been a band since 2001, formed by Chris Robertson (guitar/vocals) and John Fred Young (drums). Young is the son of the Kentucky Headhunters rhythm guitarist, Richard Young. The band has slowly and steadily been working their way into music history. With the release of 2011’s Between the Devil and the Deep Blue Sea, the band received critical acclaim and most of all, airplay. All of this hard work has put the band at the top of their game this year by earning them a headlining spot at the Download Festival in England. And through all of this, the band continues to work on new material for an upcoming album. McGuffy’s would prove to be the perfect venue to see this gritty, hard-working Southern band. The Sound at McGuffy’s is made the old fashioned way, a pile of speakers on the floor and analog mixing board combine to melt your face and rattle your skull.